Mike Huckabee has been a staunch opponent of LGBT equality, dating back to when he first burst onto the public scene in the 1990s and declared that “we should isolate the carriers” of HIV and that HIV/AIDS research received “an unfair share of federal dollars.” Huckabee has since tried to walk those comments back, but he’s maintained opposition to LGBT equality on every issue that has come before him. 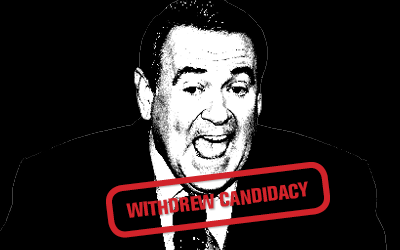 Marriage: Huckabee opposes marriage equality and has suggested judges who rule in favor of it should be impeached. Discrimination: Huckabee has argued against local ordinances that would protect LGBT Americans from discrimination. Conversion Therapy: Huckabee has supported dangerous “conversion therapy” that coerces minors into ‘treatment’ that can lead to depression and suicide.